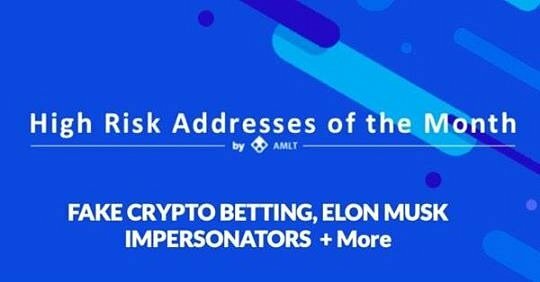 Each month the AMLT Network and Token team will provide you interesting and important high risk addresses submitted into the AMLT Network so we can better inform and protect the industry and public. Please follow the series by subscribing to our newsletter and following us on Twitter and joining our Telegram communities AMLT by Coinfirm and AMLT Announcements. 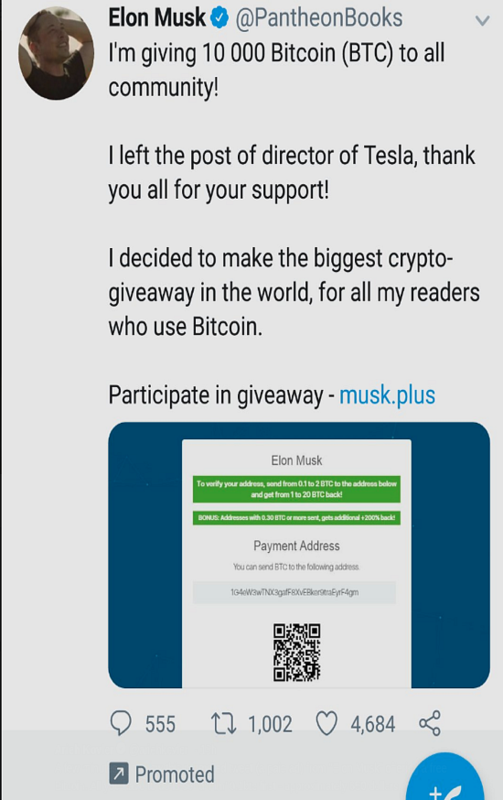 It might seem like the Twitter crypto giveaway scams are getting old by now, unfortunately, they are still very much profitable for the perpetrators. This time though, the attempt was made to get money straight from Elon Musk’s fans pockets. The verified tag as well as the post being promoted by Twitter were enough to dull the vigilance of some people and not notice, that the handle was @PantheonBooks. The account presented in the tweet below received nearly 2 BTC in the span of a couple hours, which was later transferred to a much richer address containing nearly 28 BTC. 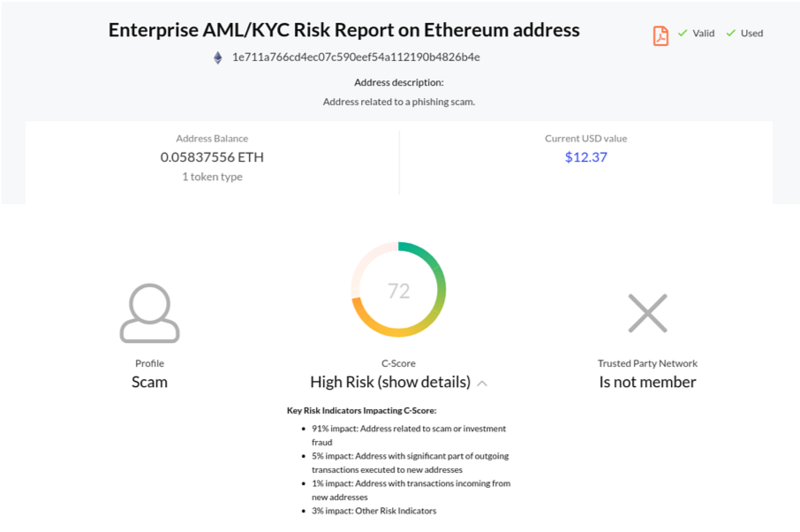 As you can see in the risk report below, any address related to these scams and reported into the AMLT Network will be automatically flagged and their C-Score increased, so that anyone using our AML Platform will know the risk in dealing with or accepting funds from these addresses. A more novel approach to using social media in order to scam people out of their cryptocurrency would be the sock-puppet method. As you can see below, the scammer basically clones the account of an innocent TV presenter. 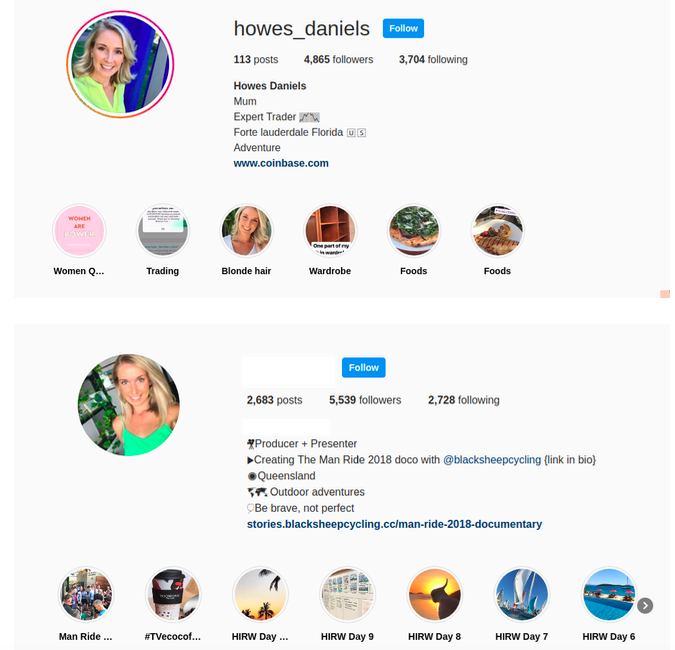 The authenticity of the account is further increased by the copied-and-pasted Instagram story videos. From that point onward, the scammer continues to pose as a cryptocurrency investor, additionally uploading images of fake investments and technical analysis, that create an illusion of success. That illusion is later used to lure people into “investing”. The rest of the scam is done in DMs, where the account asks to pay a certain referral fee. The funds transferred to the “referral” address were then sent to a much bigger, already notorious address that was already reported into the AMLT Network for various other scams. The address contains a whopping 185 BTC, with its overall volume being nearly astronomical (1165923.85 BTC in outputs only). 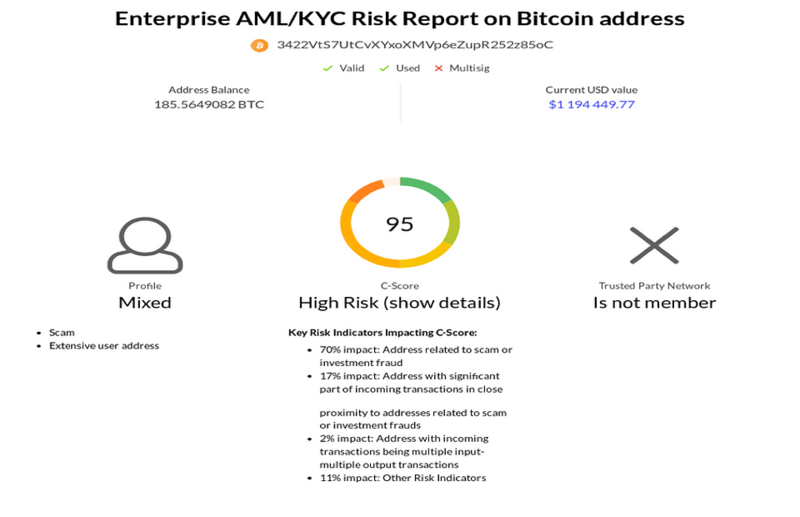 As you can see in the report below we’ve generated a Coinfirm AML Risk Report for you that displays almost as high of a risk rating as possible with the related flags. It is always important to double-check the sites you are using. Last month, we saw another influx of phishing sites that pose as legitimate crypto betting places. What usually gives them away is the minuscule amount of information regarding it being provably fair, as well as many easily verifiable and obviously false claims about the company being established in 2013 or it being among the industry leaders. Even more curious was the complete lack of any AML/KYC procedures on any of such sites. What could be considered a cherry on top, was the fake chat, that was issuing random and out-of-context messages from randomly generated user profiles, that were supposed to simulate traffic on the website. 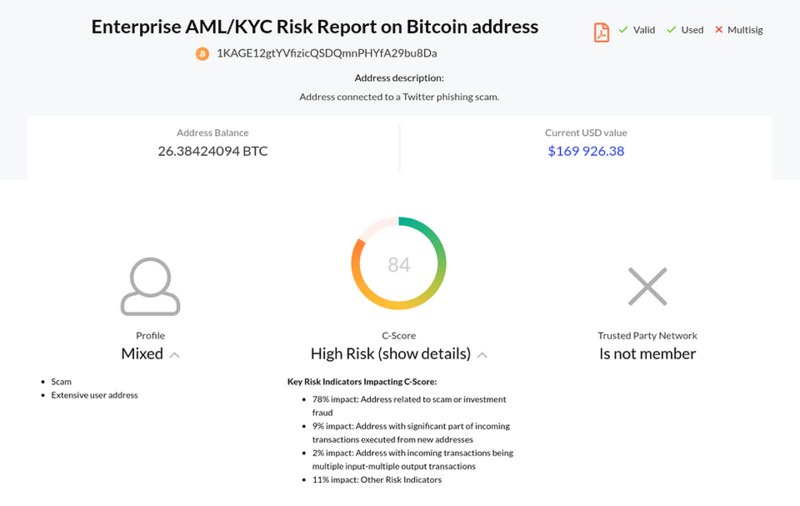 Below you can see the risk report generated for the address related to that site.